We know their are customers out there shopping for online tech support and their are several factors that have to be considered. But we can still see customers comparison shopping on Google and doing comparisons of companies like Boxaid against iYogi vs. Geek Squad. We know this by looking at our Google reports and seeing keywords our customers are using to find the Boxaid website. So let’s take a deeper dive into this and see if we can help prospective customer’s make a decision. All three services provide online computer support and virus removal remotely. This is the one thing all three services have in common. The quality of the technician varies based on skill set and luck of the draw. Some days you may get a good a good technician; some days you may get a tech who is on his first week of the job. The quality of the technician (or Geek) can be difficult to measure and can change on a daily basis so we have to look at other factors that may influence your decision on which tech support service to use. An important factor to consider is what kind of computer repair you need. Many PC problems (Windows or Mac) can be resolved remotely because they are often software problems and do not require you replace any hardware like a screen or hard drive. If that is the case in your situation, any of the three services may work for you. If not, and you need to replace your failing hard drive then you are limited to Geek Squad because they offer a traditional brick and mortar store that is of course located in your local Best Buy retail store. Since iYogi and Boxaid are purely online they can’t help you in the case of hardware replacement. Boxaid was founded in New Jersey in 2007 and is an LLC (Limited Liability Company) that is 100% based in the USA. In other words, Boxaid only has it’s employees in the United States. Boxaid has been independently reviewed by the Wall Street Journal with three other competitors. Boxaid will never collect your payment information until your work is complete and allows their customer’s to optionally pay for their computer support service using Paypal so they never have to hand over the credit card info to the technician. Since it’s difficult to consistently measure the quality of service a company provides we have to base that on user reviews. There are hundreds of reviews on Boxaid scattered all over the Internet. Many can be seen on the testimonials page, but lets admit it, we know that companies only post their best testimonials on their site and often make some up if they don’t have enough good ones. In addition, for Boxaid you can look at plenty of comments on their Facebook page and Computer Repair Expert. Both these pages are obviously controlled by an independent third party so they will more likely have real reviews from actual customers. Finally, let’s look at pricing. Boxaid offers three possible costs when you use their PC repair or virus removal service. These are one time charges and start from $30 up to $90 for more complex repairs and virus removal. The average cost is $60 for a call depending on your problem and these are all one time charges with no monthly fees. The big negative here is that they don’t offer a yearly plan with unlimited tech support. iYogi was started in 2007 in India. Today they have more than 6000 employees and are backed by Venture Capital Firms. All iYogi employees are located in India even though there website shows an office in New York. iYogi is famous for their up selling tactics and scaring their customers into buying services they don’t need. You can do a quick search on Google for iYogi reviews to see what you can find. The average review is two stars with a significant number of complaints. You can also check an independent website called Pissed Consumer for 14 pages of solid complaints. In addition, they had a partnership with a major anti-virus company(Avast) which has severed their relationship with them because of unethical business practices. Finally when it comes to price we only see a yearly plan on their website which is $179.99 for unlimited tech support for one year and of course they expect payment up front for the entire year. We did not see an option for one time fixes on their website so it looks like you have to pay for the entire year. Geek Squad was founded in 1994 in Richfield, Minnesota and is now a subsidiary of the Best Buy conglomerate known for their consumer electronics. Geek Squad “precincts” exist in all Best Buy stores in the United States, Puerto Rico, Canada, Netherlands and the United Kingdom. They offer in-home, online and remote/over the phone computer repair services. They have been around for 19 years so there are plenty of reviews on the Internet. Geek Squad does have it’s place in the computer repair world since they do have physical stores all over the world. If you have a hardware problem like a broken laptop screen or failed hard drive they can assist where others can not. So how much does Geek Squad charge? For general remote tech support it starts at $149.99, if you go visit them in their store at Best Buy they charge $199.99 and if they come to your house it’s $249.99. All these prices are one time fixes and do include Geek Squad virus removal cost. They do also offer monthly service plans for tech support and virus removal which are $9.99 a month with a $99.99 setup fee. 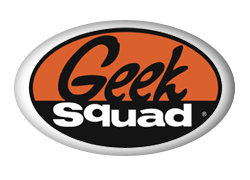 The monthly Geek Squad service price does include unlimited tech support, PC troubleshooting, and virus and spyware removal for up to three computers. If you read the info above you will notice that both Geek Squad and iYogi BOTH offer a yearly support plan and Boxaid does not. We get this question all the time from our customers. The answer is simple. We provide quality U.S. based online tech support with no up selling. At Boxaid we do not try to sell you extra software that you don’t need or install junkware on your PC that will slow it down. When you offer a yearly plan for tech support you are taking a risk because you will get customers that call dozens of time per year which means they are costing your organization money each time they call so you have make up for that by up selling other products and services. This is what our competitors must do. They have to subsidize their yearly plans by having their technicians up-sell unnecessary software or services. This means the quality of your yearly service goes down because the technician is more focused on selling the customer something else instead of fixing your problem. 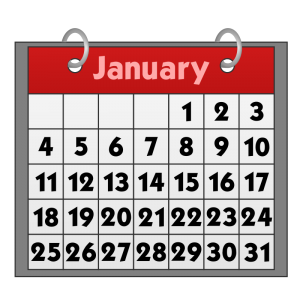 The other negative about purchasing a yearly plan is that you are paying for services you have not yet received. How do you know you will receive the same quality of service with each call? There are times when an unlimited plan is more cost efficient. Such as if you plan on calling into the support line MANY times in a year. In that case a one time fix per call would not be cost efficient. At Boxaid we feel you should never have to pay for anything before you receive your service. That is why we only charge our customers after their problem is resolved, not before. That is the primary reason we don’t offer a yearly service and only have one time charges. The chart below breaks down the three main competitors. We hope we have cleared up some concerns of our prospective shoppers looking for the best PC support for their computer. If you are still not sure here is one more resource on why you should trust your computer to Boxaid.